Applying for a job and then being asked to come in for an interview is a huge step towards your goal of getting hired for an available job position. However, your interview is the most important aspect of the job search process. As a result, knowing how to dress for your interview could mean the difference between being hired and being turned down for the job. Choosing the right dress for an interview shows the interviewer how important the available position is to you and it will also go towards making a good first impression. Dressing casual for an interview is never a good idea as this will give a message that you are neither truly serious about the interview nor that eager about winning the position. As an potential employee, the way you dress is seen as a reflection upon the company. As a result, your appearance should be of top priority; by dressing correctly, the interviewer knows that you can act as a responsible ambassador for the company. They can trust you with their image and reputation. 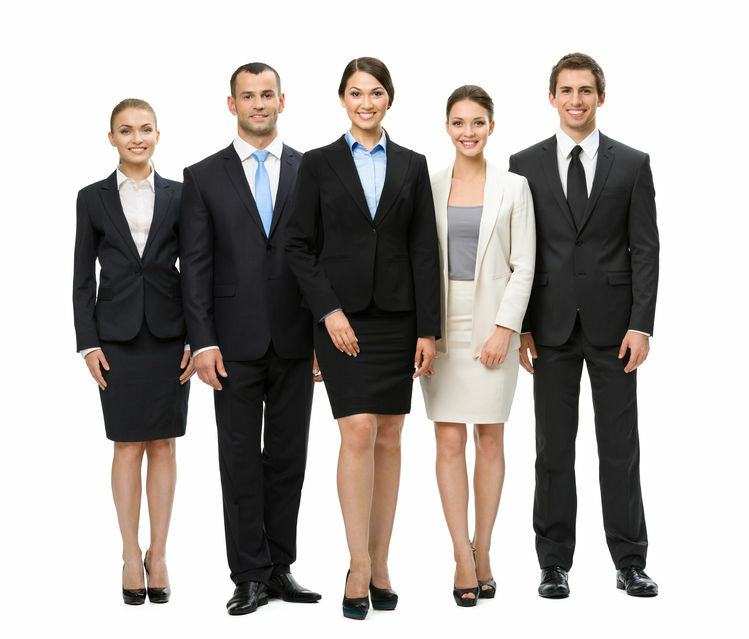 Educating yourself on the type of attire being worn in particular industries will also aid you in looking more confident and becoming more successful in your interview. It is a rule that industries such as Accounting, Banking and Law are much more formal in their dress, whereas the Technology and Advertising sectors for example tend to be more flexible. However, regardless of how other individuals within the office dress, it is always a good rule to dress more formally for the interview unless stated by the company otherwise. There are some key points that women need to follow in regards to their dress when preparing for an interview, but the main rule of thumb is that it is always best to dress conservatively. A matching two-piece suit is always a good bet. Of course, trouser suits are great if you worry about having your legs exposed when getting out of your vehicle or while sitting and are very formal as well as fashionable. Which ever type of suit your select, be sure it is tailored to fit you right; you do not want your pants to be too baggy or too tight. Always make sure your clothing is pressed and creased properly. For those women who prefer to wear skirts, then it is important to ensure your skirt falls at least to your thighs. Do not go to an interview wearing a miniskirt as the interviewer will not take you seriously. With a skirt, the slits should not be too high either, but perhaps a small one on the side or in the back would be appropriate. Wearing a suit jacket with a neutral colored blouse or knit sweater is appropriate. Selecting the color for your suit is just as important as selecting your suit. Bold colors should generally be avoided, but colors such as navy, black, dark gray, or brown are always safe. These should all be solid colors, but a subtle weave or plaid is acceptable if it does not stand out too much. The fabric of your suit should be made from high quality blends of wool or wool synthetics blends. As far as accessories for women, a conservative watch is appropriate as well as simple earrings, rings, and necklaces. The key with jewelry is to always keep it conservative and simple. Makeup should be done lightly and fingernails should be well groomed and polished. With regards to shoes, style is important, but they need to be in either leather or fabric. Avoid wearing stilettos, platforms, or clogs, but instead try a small heel or a closed-toe pump. Whatever shoe you select it is important that you are able to walk without stumbling as this will make you look unprofessional. When you select your hosiery be sure to select a plain style without any type of pattern. They need to be in neutral colors and sheer. Make sure they go with your suit. If you wish to carry a purse, then be sure to select a small and simple bag that matches your shoes. On the other hand, if you select to carry a briefcase, then select one made from leather as this is the best choice. Men should wear a tie as this is standard attire for any interview. With any tie, it should be conservative; novelty ties and fancy pattern ties should never be selected to be worn to a job interview. Selecting ties of dark colors is recommended such as dark red, dark blue, or dark green. As far as patterns, subtle patterns are appropriate such as small dots or thin stripes, but nothing too bold or extreme. Silk ties are preferred. When tying your tie any type of knot is acceptable, but the length of your tie should reach the tip of your belt buckle as a general rule. Using tie clips or a tie bar is appropriate to aid in keeping your tie where it should be. However, here again, stick with something conservative and in a color that is not distracting for the interviewer. After selecting an appropriate tie, you will want a conservative suit in neutral colors of navy or charcoal gray. It has been discovered that black tends to look a bit too formal for men and as a result is not so appropriate for a job interview. Suits made out of either wool or a wool synthetic blend would be preferred. It is recommended that your shirt be white, but pale blue is also acceptable on job interviews. However, keep in mind that the jacket of the suit should not cover the tips of the shirt sleeves completely. Half an inch is preferred to be seen of the shirt outside of the jacket. Select a dark colored belt such as black or brown, but it needs to match the same color of the shoes to be worn. Shoes should be formal and polished and socks need to be dark color and long enough so the leg cannot be seen while sitting. For obvious reasons sneakers, sandals or other casual footwear is best avoided. Knowing how to dress for an interview also includes the correct accessories. Men should always carry a briefcase to an interview for carrying such as a copy of their resume, transcripts, blank paper, certificates, and pens. Never carry a backpack to an interview as this looks unprofessional. A man’s hair needs to be in a conservative cut, as short hair is always preferred on a job interview. As far as beards and mustaches go for men they should be shaven for interviews or at least neatly groomed. The same goes for fingernails as they should be clean and trimmed neatly. The way you dress for an interview can make all the difference in the world. Remember, appearances can make or break your chances during an interview, especially in a business environment. If you are unsure as to what to wear for your next interview, then keep in mind that it is more important to dress conservatively and overdress than to dress casually and under dress. Regardless, you will be judged by the interviewer on the way you are dressed just as you are with your qualifications for the job. Take the time with your appearance and it will put you a step above the other candidates and could help sway the decision in your favour.